Highest productivity, extreme flexibility, automation readiness and minimal human intervention will be the hallmarks of the Industry 4.0-enabled manufacturing future, and Tornos brings that future to life this year with the SwissDECO, a completely new and modular platform of high-end multitasking Swiss-type lathes. 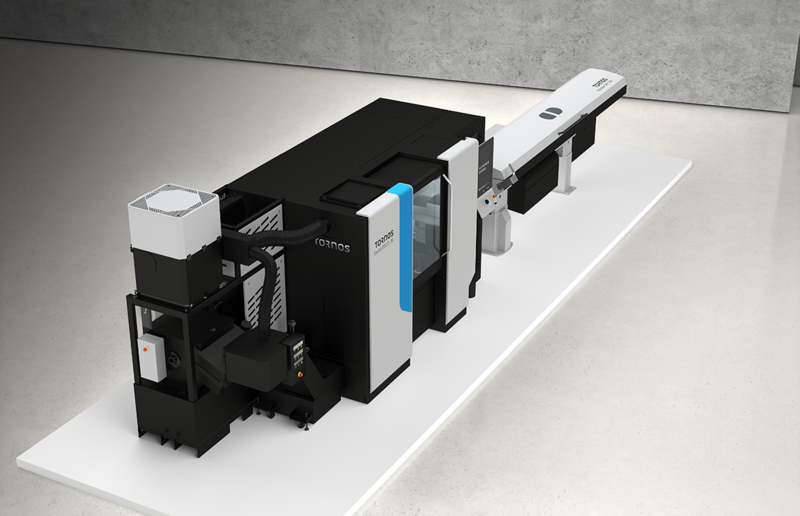 Available in three versions, the compact new SwissDECO platform is the future-ready solution for economical production of complex parts and represent Tornos’ vision of the future of Swiss-type lathes. 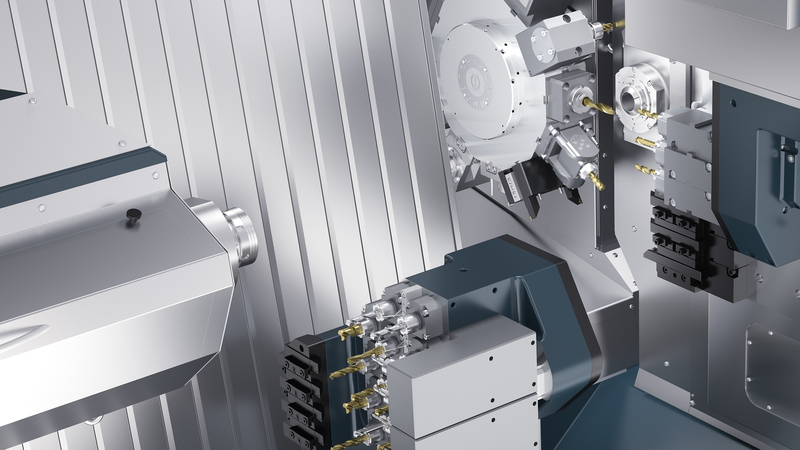 Highly productive, extremely precise and high-quality production of complex parts across a wide range of growing industrial segments—including automotive, medical and dental, electronics and aeronautics—becomes a reality, thanks to the SwissDECO’s latest-generation drive technology and tooling equipment, exceptionally rigid structure and unparalleled modularity. Solutions in the SwissDECO range are built on a common 36 mm base and designed and optimized with finite element method (FEM) analysis. Availability in three different versions—including one twin-gang versions and two turret versions—means manufacturers can choose the kinematic solution that best fits their needs. But the SwissDECO doesn’t stop with power and flexibility. Tornos knows that the future of manufacturing will be highly autonomous and, with the SwissDECO range, the company had the foresight to engineer a solution allowing a great degree of automation, even when producing the most complex parts. Human intervention is minimized, an approach that extends to the range’s zero-maintenance approach: Tasks traditionally requiring a human touch, such as cleaning, are minimized and others are eliminated thanks to the seamless integration of peripherals, including a high-end swarf management system. Not surprisingly, the SwissDECO also boasts the intelligence to make programming a simple procedure too. With its new Industry 4.0-ready human-machine interface (HMI), programming is a simple, intuitive process guided by icons on a touchscreen, so the users’ learning curve becomes less challenging, even if the job at hand is extremely challenging. One example is the SwissDECO’s automatic process optimization: Once the machine is programmed, tool displacement is automatically calculated and optimized. The potential for 24/7 autonomous production is engineered into the SwissDECO line too. The range is compatible with a wide selection of Automation solutions, right out of the box, including Tornos’ new Robot Cell i4.0.